Once a place gets officially designated as “the Pebble deposit” or “the Ambler mining district” or “the National Petroleum Reserve” or “the 1002 area,” the name seems to override its natural purpose. Industry and land managers influence these designations, but the land, water, and wildlife know nothing of names and borders, and they don’t speak our languages either. That’s why we have to speak up for them. 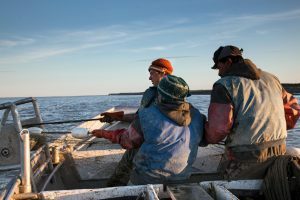 Most Alaskans—those in Bristol Bay in particular—have already spoken out against the proposed Pebble mine umpteen times. Many don’t understand why they have to keep fighting to protect their fisheries, communities and ways of life. Unfortunately, saying no once isn’t enough. Sometime in late February, the Army Corps of Engineers will release a draft environmental impact statement for the proposed Pebble mine, and a public comment period will begin. It’s essential that we all speak out again. An EIS is a report mandated by the National Environmental Policy Act to evaluate the potential impacts of a proposed project. During the public process for the draft EIS, your comments can alter what the agency must consider or address, potentially change the project, and hold decision makers accountable. Speaking out means keeping the agency from ignoring your concerns. What kind of things should you say? 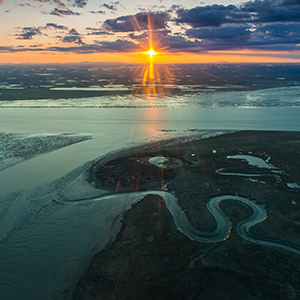 When commenting on the draft EIS, you can points out flaws in the analysis, gaps in subject matter, incorrect facts and data, and holes in its assessment of threats to the lands, waters, wildlife, fisheries, cultures and communities of Bristol Bay. 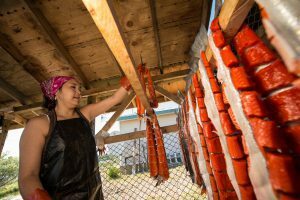 Fishing defines Bristol Bay, home to the largest wild sockeye salmon fishery in the world. Photo by Donald Bland. If the agency fails to address considerations and concerns brought up during the draft EIS period when it releases its final EIS, it could be challenged for not complying with the law. You can do a few things to make your comments compelling, but don’t let a lack of time get in the way of speaking your mind. • Get on the EIS mailing list or go to the draft EIS webpage to read documents and stay up to date on hearings and deadlines. You can find the Department of Natural Resources Pebble page here. • Sign up for alerts from groups working on the issue, and seek their help in understanding the draft EIS and knowing how to respond to it. • Focus on the specifics of the project, and refer to the appropriate page or passage of the draft EIS when pointing out problem areas. • Point out where the draft EIS fails to address an impact on land, water, wildlife or people. • Note where the draft is too narrow in what it looks at, or incomplete, unclear or unfounded in its conclusions. • Back up your statements with facts and information. We know it is frustrating to do the same thing over and over again, but it is a strategy of industry to wear people out. We have to keep up the fight at every turn because if we don’t, we may not have the ability to challenge a decision later. Continue to raise your voice in comments, at hearings, and during the public process to protect Bristol Bay.